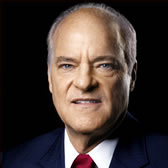 Henry Kravis is perhaps best known for his work in the board room as a founding partner of KKR & Co. But behind the scenes private equity mogul Henry Kravis does more than his share of charitable activities, working on projects that support everything from social and community development to education. In partnership with Claremont McKenna College, Kravis’ alma mater, Kravis supports the Henry Kravis Leadership Institute. The organization sponsors the programs and training of future leaders of the school and, with Kravis’ help, the school has also been able to construct several new facilities including the Eaglebrook School, Deerfield Academy, and the Loomis Chaffee School. With his support, the Claremont McKenna College also awards the Henry Kravis Prize for Leadership to every year to those who exemplify innovation and leadership in nonprofits. The prize is worth $250,000 and is given to support the winning nonprofit’s operational costs. Past winners include Pratham and the Forum For African Women Educationalists. Henry Kravis is also is also a member of the board of the Mount Sinai Medical Center in New York. His significant support led to the creation of a cardiovascular center and a women’s and children’s center. Along with his wife, Marie Josee Kravis, Henry Kravis participated in a fundraiser in 2008 that raised over $56 million for the Robin Hood Foundation. The Robin Hood Foundation is a group that funds and partners with organizations dedicated to reducing poverty and improving the lives of New Yorkers in need. The two of them are also avid patrons of the arts, supporting the Metropolitan Museum of Art and the New York City Ballet. Henry Kravis was also founder and co-chairman of the New York City Investment Fund, a “private fund with a civic mission.” Founded under Henry Kravis’ vision, the fund seeks to mobilize the city’s financial and business leaders to build a stronger and more diversified local economy.